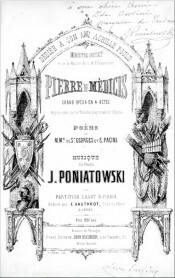 We are pleased to announce that sheet music to the opera Pierre de Médicis by Józef Michał Ksawery Poniatowski are now available in the publications of the Association of Polish Music! The premiere of the opera took place in 1860 at the Opéra de Paris. The libretto, written by Jules Henri Vernoy de Saint-Georges and Emilien Pacini, tells the story of an unrequited love of Julien, brother of Pierre de Médicis, and Laura. The Association of Polish Music will be pleased to make the materials available to you upon prior arrangement of the terms and conditions of the loan. Feel free to contact us! Detailed information can be found in the Publications tab. 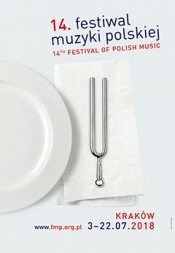 Co-financed by The Ministry of Culture and National Heritage of the Republic of Poland from the Cultural Promotion Fund under the ''Muzyczny ślad'' programme implemented by the Institute of Music and Dance. Józef Michał Ksawery Poniatowski, Pierre de Médicis. 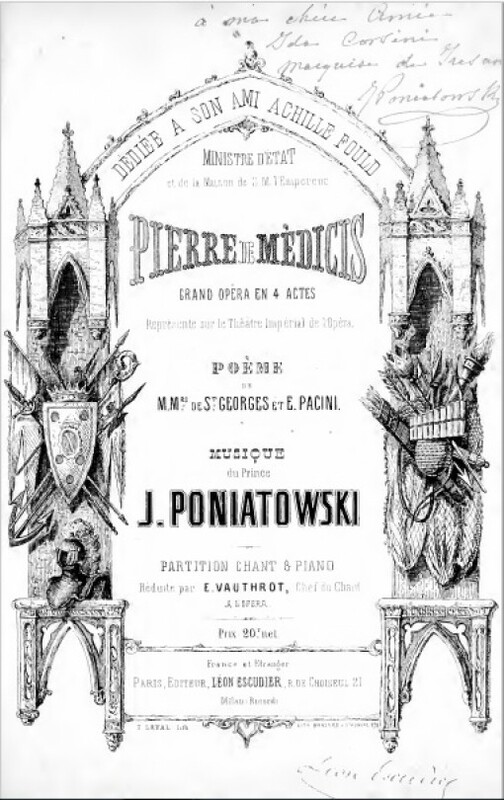 Source: Petrucci Music Library (https://imslp.org/wiki/Pierre_de_M%C3%A9dicis_(Poniatowski%2C_J%C3%B3zef)). Used on the basis of Creative Commons Attribution-ShareAlike 4.0 License.